With Microsoft’s announcement of Office 2013 Consumer Preview today, the question on many Apple users’ lips was “when will we see it for the Mac?” We reached out to Microsoft and they say that Office for Mac 2011 will get an update when Office 2013 launches, but that they haven’t announced anything about Office 2013 branding coming to that platform. At least not yet. The Office for Mac 2011 update will bring integration with SkyDrive and Office 365 to let you access your cloud documents from a Mac. The licenses for Office for Mac will also be integrated into the Office 365 Home Premium subscriptions. 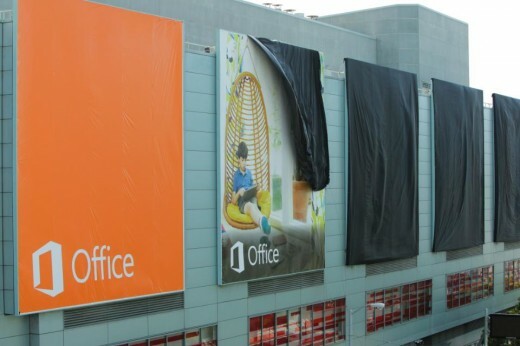 Microsoft says Office 2013 for Mac will be available by the time the final software is released. Since we got ours right from the ‘horses mouth’, so to speak, we’re going with the incremental update first. That’s not to say that the new suite won’t make its way to the Mac, but it appears that it won’t be at the launch Versions of Office for the Mac normally launch some time after their counterparts on PCs (and now Surface tablets). This delay is typically upwards of a year, so don’t expect to see it too soon. Read next: The Marissa Mayer era begins tomorrow: What does it mean for Yahoo?